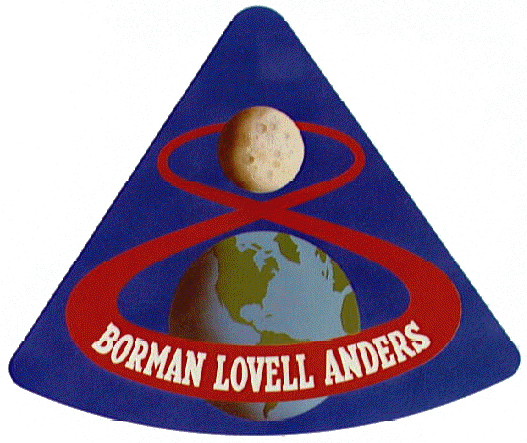 Official emblem of the Apollo 17 lunar landing mission. The Descartes landing site is in a highlands region of the moon's southeast quadrant, characterized by hilly, grooved, furrowed terrain. It was selected as an outstanding location for sampling two volcanic constructional units of the highlands – the Cayley formation and the Kant Plateau. The Apollo Lunar Surface Experiments Package, or ALSEP, was the fourth such station to become operational after Apollos 12, 14 and 15. A significant addition to surface objectives was an ultraviolet stellar camera to return photography of the Earth and celestial regions in spectral bands not seen from Earth. Evaluation of the lunar rover through a "Grand Prix" exercise consisting of S-turns, hairpin turns and hard stops also was to be conducted. A final orbital objective was to launch a subsatellite into lunar orbit from the command and service module, or CSM, shortly before transearth injection. The objective of the Particles and Fields, or P&F, subsatellite was to investigate the moon's mass and gravitational variations, particle composition of space near the moon, and interaction of the moon's magnetic field with that of Earth. Lunar module, or LM, carrying John Young and Charles Duke touched down at Descartes about 276 meters northwest of planned point (8 degrees 59' 29"S, 15 degrees 30' 52"E) at about 9:24 p.m. EST April 20, about five hours, 43 minutes late. During 71 hours, two minutes surface stay, astronauts explored region on three EVAs totaling 20 hours, 14 minutes. First EVA included Lunar Roving Vehicle setup and ALSEP deployment. Heat flow experiment was lost when Young tripped on electronics cable, breaking it. Rover traverse took astronauts west to Flag Crater where they collected samples and photographed the area. Return drive was south of outbound track to Spook Crater where astronauts took first measurement with the lunar portable magnetometer, gathered samples, and took both panoramic and 500 mm telephotography. Just before returning to the lunar module, they deployed the solar wind composition experiment at the ALSEP site. EVA duration was about seven hours, 11 minutes with 2.5 miles driven in the rover. Real-time flight planners deleted four stops from the third and final EVA because of time constraint in meeting ascent schedule. Astronauts drove north to North Ray Crater where "House Rock," inside the crater rim, was sampled. Returning south, the crew stopped at "Shadow Rock" for additional sampling, photography and LPM measurement. Final stop near the LM added samples and core tubes to the collection. Last LPM readings were taken at the rover parking site along with final rock samples. Closeout, including retrieval of solar wind composition, or SWC, and film from far ultraviolet camera/spectroscope, completed EVA after five hours, 40 minutes. Rover distance was 7.1 miles. 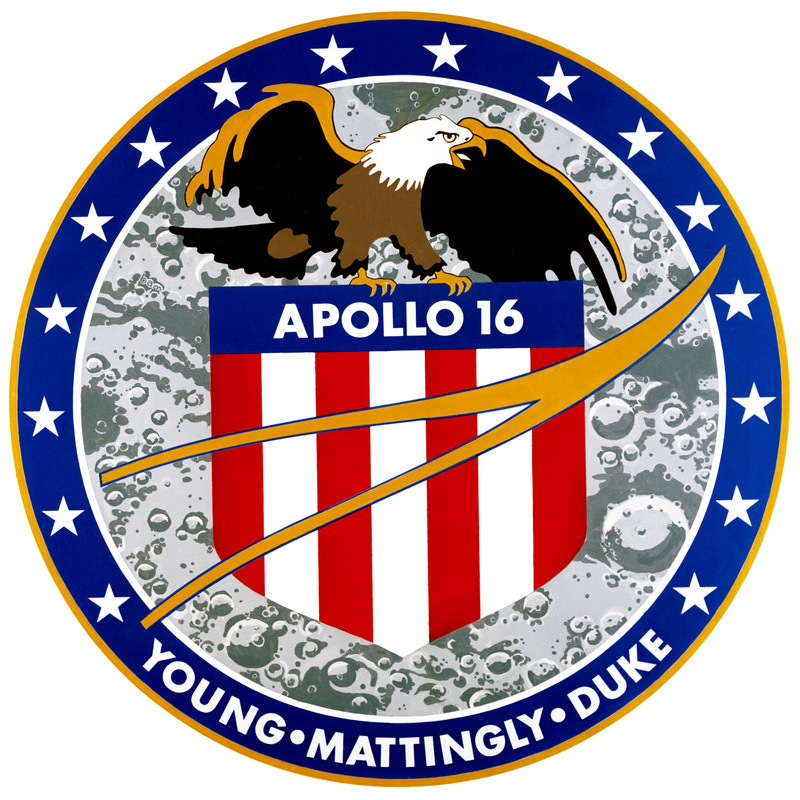 Thomas Mattingly orbited the moon with cameras and SIM bay instruments operating during the surface stay of Young and Duke. The results verified Apollo 15 data and provided information on lunar terrain not previously covered. Lunar liftoff came on time at 8:26 p.m. EST April 23, in view of the rover television camera. After normal rendezvous and docking, and transfer of crew samples and equipment, the lunar module was jettisoned. Attitude control was lost, eliminating the usual deorbit maneuver and planned impact. Because of problems noted earlier, planners elected to return the mission one day early. During transearth coast, Mattingly took an 83-minute spacewalk to retrieve film cassettes from the SIM bay. Normal entry and landing resulted in splashdown at 0 degrees 42' 0" S, 156 degrees 12' 49" W, just before 3 p.m. EST April 27. Total mission time was 265 hours, 51 minutes, five seconds. Young and Duke collected 209 pounds of samples and drove the rover 16.6 miles. "Climb aboard the Lunar Rover..."
Apollo 15 was the first of the Apollo "J" missions capable of a longer stay time on the moon and greater surface mobility. There were four primary objectives falling in the general categories of lunar surface science, lunar orbital science and engineering-operational. 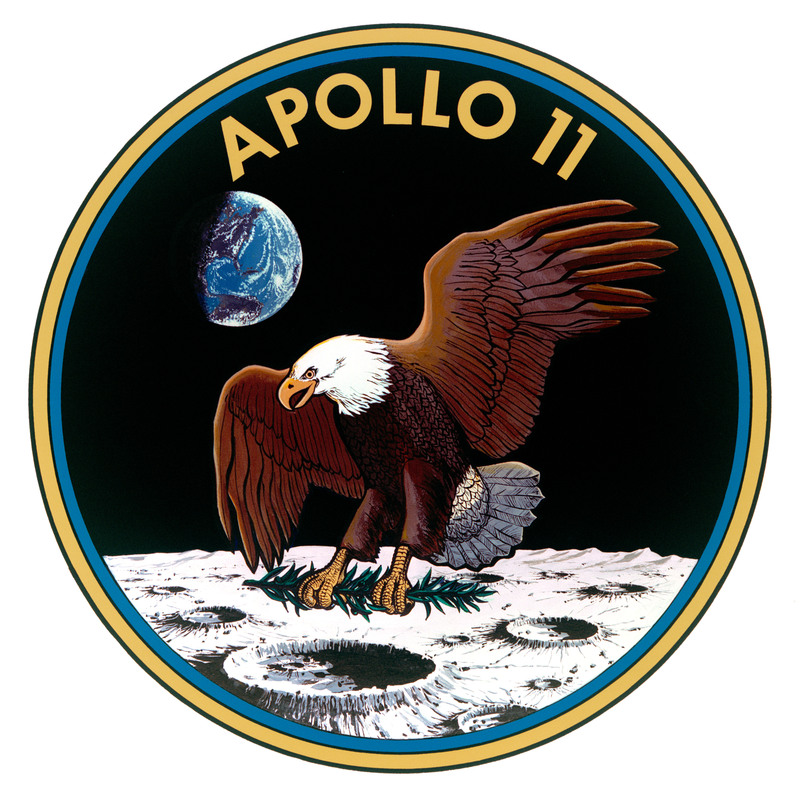 The mission objectives were to explore the Hadley-Apennine region, set up and activate lunar surface scientific experiments, make engineering evaluations of new Apollo equipment, and conduct lunar orbital experiments and photographic tasks. Exploration and geological investigations at the Hadley-Apennine landing site were enhanced by the addition of the Lunar Roving Vehicle, or LRV. Setup of the Apollo Lunar Surface Experiments Package, or ALSEP, was the third in a trio of operating ALSEPs (on Apollos 12, 14 and 15). Orbital science experiments were concentrated in any array of instruments and cameras in the scientific instrument module, or SIM, bay. Engineering and operational objectives included evaluation of modifications to the lunar module, or LM, made for carrying a heavier payload and for a lunar stay time of almost three days. Changes to the Apollo spacesuit and to the portable life support system, or PLSS, were evaluated, and performance of the Lunar Roving Vehicle and the other new J-mission equipment that went with it - lunar communications relay unit, or LCRU, and the ground-controlled television assembly, or GCTA. Another major mission objective involved the launching of a Particles and Fields, or P&F, subsatellite into lunar orbit by the command and service module, or CSM, shortly before beginning the return-to-Earth portion of the mission. The subsatellite was designed to investigate the moon's mass and gravitational variations, particle composition of space near the moon and the interaction of the moon's magnetic field with that of Earth. Apollo 15 launched from Launch Complex 39 at Cape Canaveral at 9:34 a.m. EDT, only 187 milliseconds off schedule. The translunar injection, or TLI, and hybrid transfer maneuvers were combined into a single "optimized TLI" S-IVB engine burn. A minor problem early in the mission involving a short circuit in a service propulsion engine, or SPS engine, firing switch was successfully cleared through revised procedures for the lunar orbit insertion, or LOI, and subsequent SPS maneuvers. David Scott and James Irwin flew their LM to a perfect landing at 6:16 p.m. EDT July 30, at Hadley Rille about 1,500 feet north and east of the targeted landing point near a crater named Salyut. Landing approach over the Apennine Range - one of the highest on the moon - was at an angle of 26 degrees, the steepest approach yet used in Apollo missions. During three periods of extravehicular activity, or EVA, on July 31, and Aug. 1 and 2, Scott and Irwin completed a record 18 hours, 37 minutes of exploration, traveled 17.5 miles in the first car that humans have ever driven on the moon, collected more than 170 pounds of lunar samples, set up the ALSEP array, obtained a core sample from about 10 feet beneath the lunar surface, and provided extensive oral descriptions and photographic documentation of geologic features in the vicinity of the landing site during the three days (66 hours, 55 minutes) on the lunar surface. On Aug. 2, LM Falcon fired its ascent stage engine and lifted off the moon for its rendezvous with command module, or CM, Endeavor. For the first time, the lunar liftoff was seen on Earth via the LRV television camera. The two spacecraft docked as Endeavor began its 50th lunar orbit. On the 74th revolution, the Particles and Fields subsatellite was spring-launched from the service module, or SM, SIM bay. On the next revolution, Aug. 4, a 2-minute, 21-second SPS burn put Apollo 15 on its path back to Earth. On Aug. 5, Alfred Worden became the first human to carry out a deep space EVA. He exited the CM, climbed toward the rear of the SM and retrieved film cassettes from the SIM bay cameras and returned to the CM. The entire operation was completed in 18 minutes (one hour had been scheduled in the flight plan). 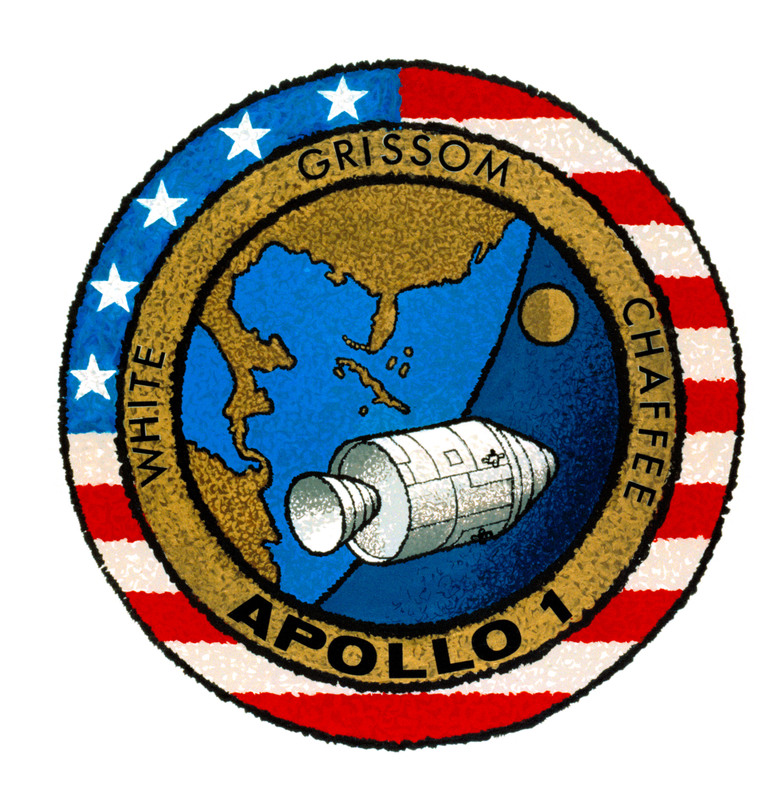 At approximately 4:46 p.m. EDT Aug. 7, Apollo 15 splashed down in the Pacific Ocean, about 335 miles north of Honolulu, ending a flight of 12 days, seven hours. The crew was picked up by helicopters from the prime recovery ship, the USS Okinawa, 6.32 miles from the targeted touchdown point. During the final stages of descent on its three main parachutes, the CM crew and shipboard observers noted one of the parachutes became only partially inflated following jettison of RSC fuel remaining on board. As a result of the loss of one parachute, the CM impacted at 21.8 mph, instead of the planned 19 mph. Apollo 15 set several new records for crewed spaceflight: heaviest payload in a lunar orbit of approximately 107,000 pounds, maximum radial distance traveled on the lunar surface away from the spacecraft of about 17.5 miles (previous high was 2.1 miles on Apollo 14), most lunar surface EVAs (three) and longest total of duration for lunar surface EVAs (18 hours, 37 minutes - almost the total time spent in lunar orbit by Apollo , longest time in lunar orbit (about 145 hours; only two hours less than the entire Apollo 8 mission), longest crewed lunar mission (295 hours), longest Apollo mission (295 hours - previous high was 244 hours, 36 minutes on Apollo 12), the first satellite placed in lunar orbit by a crewed spacecraft, and first deep space and operational EVA. The primary objectives of this mission were to explore the Fra Mauro region centered around deployment of the Apollo Lunar Surface Scientific Experiments Package, or ALSEP; lunar field geology investigations; collection of surface material samples for return to Earth; deployment of other scientific instruments not part of ALSEP; orbital science involving high-resolution photography of candidate future landing sites; photography of deep-space phenomena, such as zodiacal light and gegenschein; communications tests using S-band and VHF signals to determine reflective properties of the lunar surface; engineering and operational evaluation of hardware and techniques; tests to determine variations in S-band signals; and photography of surface details from 60 nautical miles in altitude. Apollo 14 launched at 4:03 p.m. EST. At approximately 3:41 p.m. ground elapsed time, or GET, difficulties were experienced in docking with the lunar module, or LM, and six attempts were required before a "hard dock" was achieved. An in-flight televised inspection of the docking mechanism revealed no apparent reason for the malfunction and the system appeared to be functioning normally. Prior to the powered descent initiation, or PDI, for the Antares landing, a short in the LM computer abort switch was discovered, which could have triggered an undesired abort during the LM's descent. On Feb. 5, Antares made the most precise landing to date, approximately 87 feet from the targeted landing point. The landing point coordinates were 3 degrees, 40 minutes, 27 seconds south and 17 degrees, 27 minutes, 58 seconds west, midway between the Doublet and Triplet craters in the hilly uplands of the Fra Mauro crater, and about 110 miles east of the Apollo 12 landing site. Due to communications system problems, the first period of extra vehicular activity, or EVA, began almost one hour later than scheduled with Commander Alan Shepard setting foot on the lunar surface at 114 hours, 31 minutes GET. The first of the two EVA periods included ALSEP deployment and lasted four hours, 49 minutes. The second EVA on Feb. 6 began when the LM egress hatch was opened at 4:15 a.m. EST. During this EVA, Shepard and Edgar Mitchell moved more than half a mile from their LM, conducting selenological investigations, collecting samples and attempting to reach the rim of Cone crater, approximately 300 feet above the landing site. NASA personnel monitoring the EVA estimate that the two astronauts were within 50 to 75 meters of the crater rim when they were advised by mission control to collect samples at that spot and begin their traverse back to the LM. The second EVA lasted four hours, 35 minutes, resulting in a new mark for EVA time by a lunar landing crew: nine hours, 24 minutes. Shepard set a new distance-traveled record on the lunar surface of approximately 9,000 feet. During the two traverses, the astronauts collected 94 pounds of rocks and soil for return to Earth. The samples were scheduled to go to 187 scientific teams in the United States, as well as 14 other countries for study and analysis. Orbital science activities were conducted by Stuart Roosa during the lunar surface activities period. He experienced some difficulties with the high-resolution, motion-compensating Hycon Lunar Topographic Camera while attempting to photograph the Descartes area, the landing site planned for Apollo 16. The liftoff of Antares from the lunar surface took place precisely on schedule. Rendezvous and docking occured only two minutes later than scheduled. The command module Kitty Hawk splashed down safely in the Pacific Ocean at 4:05 p.m. EST Feb. 9, exactly nine days and two minutes after launch. The actual landing point was only 1.02 nautical miles off its targeted point of about 765 nautical miles south of Samoa, and four miles from the prime recovery ship, the USS New Orleans. The mission duration from liftoff to splashdown was 216 hours, two minutes. Apollo 13 was supposed to land in the Fra Mauro area. An explosion on board forced Apollo 13 to circle the moon without landing. 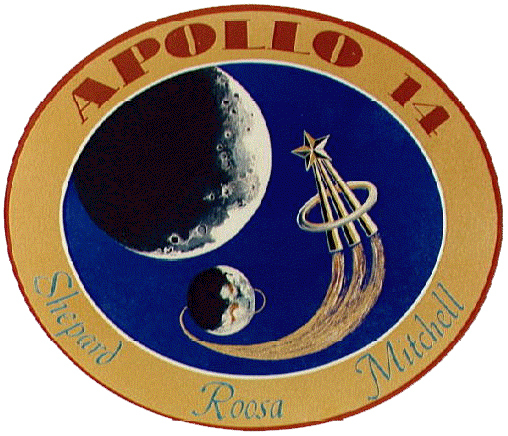 The Fra Mauro site was reassigned to Apollo 14. At 5 1/2 minutes after liftoff, John Swigert, Fred Haise and James Lovell felt a little vibration. Then the center engine of the S-II stage shut down two minutes early. This caused the remaining four engines to burn 34 seconds longer than planned, and the S-IVB third stage had to burn nine seconds longer to put Apollo 13 in orbit. Days before the mission, backup lunar module pilot, Charles Duke, inadvertently exposed the crew to German measles. Command Module Pilot Ken Mattingly had no immunity to measles and was replaced by backup command module pilot, John Swigert. Ground tests before launch indicated the possibility of a poorly insulated supercritical helium tank in the lunar module, or LM, descent stage, so the flight plan was modified to enter the LM three hours early in order to obtain an onboard readout of helium tank pressure. The No. 2 oxygen tank, serial number 10024X-TA0009, had been previously installed in the service module of Apollo 10, but was removed for modification and damaged in the process. The tank was fixed, tested at the factory, installed in the Apollo 13 service module and tested again during the Countdown Demonstration Test at NASA's Kennedy Space Center beginning March 16, 1970. The tanks normally are emptied to about half full. No. 1 behaved all right, but No. 2 dropped to only 92 percent of capacity. Gaseous oxygen at 80 pounds per square inch was applied through the vent line to expel the liquid oxygen, but to no avail. An interim discrepancy report was written, and on March 27, two weeks before launch, detanking operations resumed. No. 1 again emptied normally, but No. 2 did not. After a conference with contractor and NASA personnel, the test director decided to "boil off" the remaining oxygen in No. 2 by using the electrical heater within the tank. The technique worked, but it took eight hours of 65-volt DC power from the ground support equipment to dissipate the oxygen. Due to an oversight in replacing an underrated component during a design modification, this turned out to severely damage the internal heating elements of the tank. Apollo 13 was to be the third lunar landing attempt, but the mission was aborted after rupture of service module oxygen tank. Still, it was classified as a "successful failure" because of the experience gained in rescuing the crew. The mission's spent upper stage successfully impacted the moon. During the first two days, the crew ran into a couple of minor surprises, but generally Apollo 13 was looking like the smoothest flight of the program. At 46 hours, 43 minutes Joe Kerwin, the capsule communicator, or Capcom, on duty, said, "The spacecraft is in real good shape as far as we are concerned. We're bored to tears down here." It was the last time anyone would mention boredom for a long time. 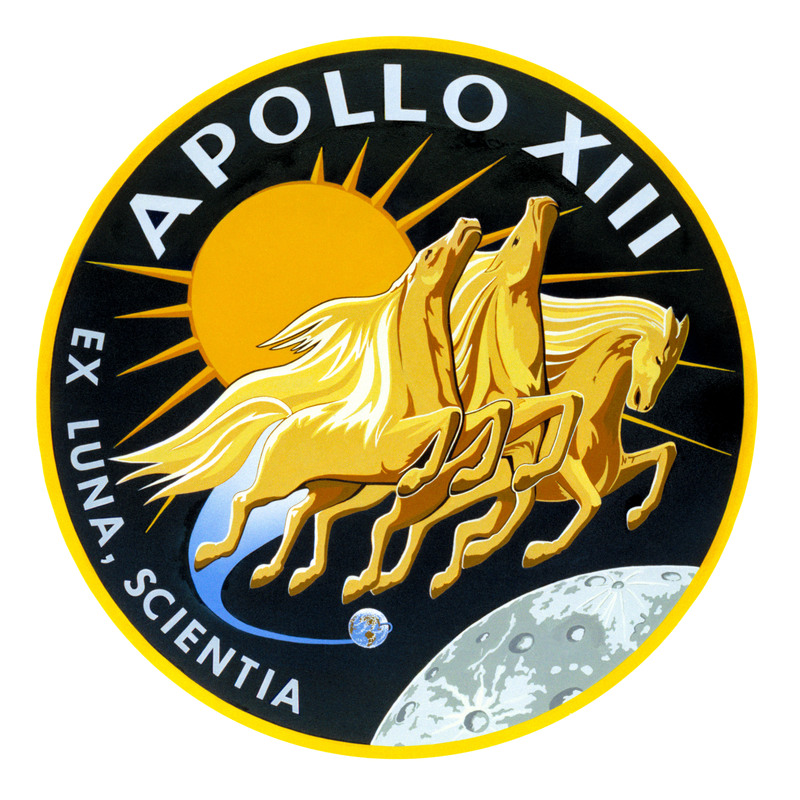 At 55 hours, 46 minutes, as the crew finished a 49-minute TV broadcast showing how comfortably they lived and worked in weightlessness, Lovell said, "This is the crew of Apollo 13 wishing everybody there a nice evening, and we're just about ready to close out our inspection of Aquarius and get back for a pleasant evening in Odyssey. Good night." Nine minutes later, oxygen tank No. 2 blew up, causing the No. 1 tank to also fail. The command module's normal supply of electricity, light and water was lost, and they were about 200,000 miles from Earth. The message came in the form of a sharp bang and vibration at 9:08 p.m. April 13. Swigert saw a warning light that accompanied the bang and said, "Houston, we've had a problem here." Lovell came on and told the ground that it was a main B bus undervolt. Next, the warning lights indicated the loss of two of three fuel cells, which were the spacecraft's prime source of electricity. With warning lights blinking, one oxygen tank appeared to be completely empty and there were indications that the oxygen in the second tank was rapidly depleting. Thirteen minutes after the explosion, Lovell happened to look out of the left-hand window and saw the final evidence pointing toward potential catastrophe. "We are venting something out into the... into space," he reported to Houston. Capcom Jack Lousma replied, "Roger, we copy you venting." Lovell said, "It's a gas of some sort." It was oxygen gas escaping at a high rate from the second, and last, oxygen tank. The first thing the crew did, even before discovering the oxygen leak, was try to close the hatch between the CM and the LM. They reacted spontaneously, similar to a submarine crew, closing the hatches to limit the amount of flooding. First Swigert, and then Lovell, tried to lock the reluctant hatch, but the stubborn lid wouldn't stay shut. Exasperated and realizing that there wasn't a cabin leak, they strapped the hatch to the CM couch. The pressure in the No. 1 oxygen tank continued to drift downward; passing 300 pounds per square inch, then headed toward 200 pounds per square inch. Months later, after the accident investigation was complete, it was determined that when the No. 2 tank blew up, it either ruptured a line on the No. 1 tank or caused one of the valves to leak. When the pressure reached 200 pounds per square inch, the crew and ground controllers knew they would lose all oxygen, which meant that the last fuel cell also would die. At one hour, 29 seconds after the bang, Lousma said after instructions from Flight Director Glynn Lunney, "It is slowly going to zero, and we are starting to think about the LM lifeboat." Swigert replied, "That's what we have been thinking about too." Ground controllers in Houston faced a formidable task. Completely new procedures had to be written and tested in the simulator before being passed up to the crew. The navigation problem had to be solved; essentially how, when and in what attitude to burn the LM descent engine to provide a quick return home. With only 15 minutes of power left in the CM, Lousma told the crew to make their way into the LM. Haise and Lovell quickly floated through the tunnel, leaving Swigert to perform the last chores in the command module. The first concern was to determine if there were enough consumables to get home. The LM was built for only a 45-hour lifetime and it needed to be stretch to 90. Oxygen wasn't a problem. The full LM descent tank alone would suffice. In addition, there were two ascent-engine oxygen tanks and two backpacks full of oxygen that would never be used on the lunar surface. Two emergency bottles on top of those packs each had six or seven pounds in them. At LM jettison just before re-entry 28.5 pounds of oxygen remained, more than half of what was available after the explosion. Power also was a concern. There were 2,181 ampere hours in the LM batteries. Ground controllers carefully worked out a procedure where the CM batteries were charged with LM power. All noncritical systems were turned off and energy consumption was reduced to 1/5, which resulted in having 20 percent of LM electrical power left when Aquarius was jettisoned. There was one electrical close call during the mission. One of the CM batteries vented with such force that it momentarily dropped off the line. Had the battery failed, there would have been insufficient power to return the ship to Earth. Water was the main consumable concern. It was estimated that the crew would run out of water about five hours before Earth re-entry, which was calculated at around 151 hours. However, data from Apollo 11, which had not sent its LM ascent stage crashing into the moon as in subsequent missions, showed that its mechanisms could survive seven or eight hours in space without water cooling. The crew conserved water. They cut down to six ounces each per day, 1/5 of normal intake, and used fruit juices; they ate hot dogs and other wet-pack foods when they ate at all. The crew became dehydrated throughout the flight and set a record that stood up throughout Apollo: Lovell lost 14 pounds and the crew lost a total of 31.5 pounds, nearly 50 percent more than any other crew. Those stringent measures resulted in the crew finishing with 28.2 pounds of water, about 9 percent of the total. Removal of carbon dioxide also was a concern. There were enough lithium hydroxide canisters, which remove carbon dioxide from the spacecraft, but the square canisters from the command module were not compatible with the round openings in the lunar module environmental system. There were four cartridges from the LM and four from the backpacks, counting backups. However, the LM was designed to support two men for two days and was being asked to care for three men for about four days. After a day and a half in the LM, a warning light showed that the carbon dioxide had built up to a dangerous level. Mission control devised a way to attach the CM canisters to the LM system by using plastic bags, cardboard and to tape all materials carried on board. One of the big questions was, "How to get back safely to Earth?" The LM navigation system wasn't designed to help in this situation. Before the explosion at 30 hours, 40 minutes, Apollo 13 had made the normal midcourse correction, which would take it out of a free-return-to-Earth trajectory and put it on a lunar landing course. Now the task was to get back on a free-return course. The ground computed a 35-second burn and fired it five hours after the explosion. As they approached the moon, another burn was computed; this time a long five-minute burn to speed up the return home. It took place two hours after rounding the far side of the moon. Flight Director Gerald Griffin, a man not easily shaken, recalled: "Some years later I went back to the log and looked up that mission. My writing was almost illegible, I was so damned nervous. And I remember the exhilaration running through me: My God, that's the last hurdle - if we can do that, I know we can make it. It was funny because only the people involved knew how important it was to have that platform properly aligned." Yet Griffin barely mentioned the alignment in his change-of-shift briefing - "That check turned out real well" is all he said an hour after his penmanship failed him. The trip was marked by discomfort beyond the lack of food and water. Sleep was almost impossible because of the cold. When the electrical systems were turned off, the spacecraft lost an important source of heat. The temperature dropped to 38 degrees Fahrenheit and condensation formed on all the walls. The most remarkable achievement of mission control was quickly developing procedures for powering up the CM after its long, cold sleep. Flight controllers wrote the documents for this innovation in three days, instead of the usual three months. The command module was cold and clammy at the start of power-up. The walls, ceiling, floor, wire harnesses and panels were all covered with droplets of water. It was suspected conditions were the same behind the panels. The chances of short circuits caused apprehension, but thanks to the safeguards built into the command module after the disastrous Apollo 1 fire in January 1967, no arcing took place. Lovell recalled the descent to Earth, "The droplets furnished one sensation as we decelerated in the atmosphere: it rained inside the CM." Four hours before landing, the crew shed the service module; mission control had insisted on retaining it until then because everyone feared what the cold of space might do to the un-sheltered CM heat shield. Photos of the service module showed one whole panel missing and wreckage hanging out, it was a mess as it drifted away. Three hours later, the crew left the lunar module Aquarius and then splashed down gently in the Pacific Ocean near Samoa. After an intensive investigation, the Apollo 13 Accident Review Board identified the cause of the explosion. In 1965, the CM had undergone many improvements that included raising the permissible voltage to the heaters in the oxygen tanks from 28 to 65 volts DC. Unfortunately, the thermostatic switches on these heaters weren't modified to suit the change. During one final test on the launch pad, the heaters were on for a long period of time. This subjected the wiring in the vicinity of the heaters to very high temperatures (1000 F), which have been subsequently shown to severely degrade teflon insulation. The thermostatic switches started to open while powered by 65 volts DC and were probably welded shut. Furthermore, other warning signs during testing went unheeded and the tank, damaged from eight hours of overheating, was a potential bomb the next time it was filled with oxygen. That bomb exploded on April 13, 1970 - 200,000 miles from Earth. 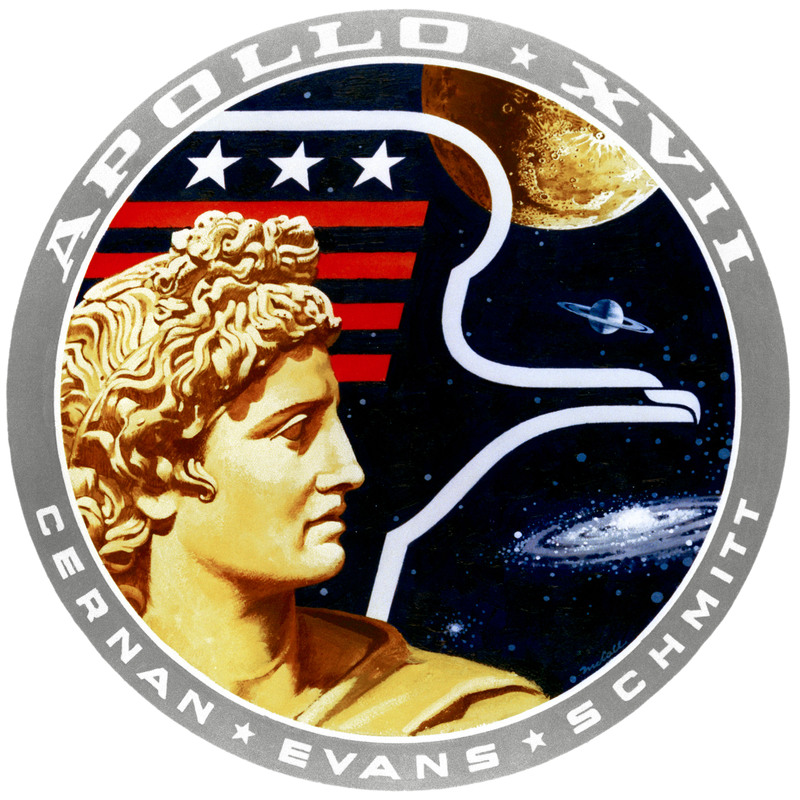 This is the official crew insignia for Apollo 12, the United States' second lunar landing mission. The clipper ship signifies that the crew is all Navy and symbolically relates the era of the clipper ship to the era of space flight. As the clipper ship brought foreign shores closer to the United States and marked the increased utilization of the seas by this nation, spacecraft have opened the way to the other planets and Apollo 12 marks the increased utilization of space-based on knowledge gained in earlier missions. The portion of the moon shown is representative of the Ocean of Storms area in which Apollo 12 will land. The primary mission objectives of the second crewed lunar landing included an extensive series of lunar exploration tasks by the lunar module, or LM, crew, as well as the deployment of the Apollo Lunar Surface Experiments Package, or ALSEP, which was to be left on the moon's surface to gather seismic, scientific and engineering data throughout a long period of time. Other Apollo 12 objectives included a selenological inspection; surveys and samplings in landing areas; development of techniques for precision-landing capabilities; further evaluations of the human capability to work in the lunar environment for a prolonged period of time; deployment and retrieval of other scientific experiments; and photography of candidate exploration sites for future missions. The astronauts also were to retrieve portions of the Surveyor III spacecraft, which had soft-landed on the moon April 20, 1967, a short distance from the selected landing site of Apollo 12. The flight plan for Apollo 12 was similar to that of Apollo 11, except Apollo 12 was to fly a higher inclination to the lunar equator and leave the free-return trajectory after the second translunar midcourse correction. This first non-free-return trajectory on an Apollo mission was designed to allow a daylight launch and a translunar injection above the Pacific Ocean. It also allowed a stretch of the translunar coast to gain the desired landing site lighting at the time of LM descent, conserved fuel and permitted the Goldstone, Calif., tracking antenna to monitor the LM descent and landing. In addition, the Apollo 12 flight plan called for the LM ascent stage to provide a measured seismic stimulus for the ALSEP seismic experiment. Following crew return to the command and service module, or CSM, a controlled burn of the remaining propellants in the empty ascent stage caused the stage to crash into the moon, providing a measurable seismic shock impulse. Apollo 12 launched from Cape Kennedy on Nov. 14, 1969, into a cloudy, rain-swept sky. Launch controllers lost telemetry contact at 36 seconds, and again at 52 seconds, when the Saturn V launch vehicle was struck by lightning. The booster's first stage continued firing, launching Apollo 12 into an initial Earth-parking orbit of 115 by 117.9 miles. After one-and-a-half revolutions, the electrical circuits were checked out and no significant problems were noted. Then, the S-IVB stage re-ignited for a second burn of five minutes, 45 seconds, placing Apollo 12 into an initial free-return translunar trajectory. About 40 minutes later, the CSM Yankee Clipper separated from the S-IVB-SLA, transposed, and then docked with the LM Intrepid. This was televised on Earth. The S-IVB stage was then jettisoned. However, based on incorrect data of trajectory commands, it failed to go into the planned heliocentric orbit. Instead, it was placed into an elliptical Earth-orbit of 101,350 by 535,522 miles, with a period of 42 days. Charles Conrad and Alan Bean entered the LM to check for possible impacts from the lightning strike. They found none and re-entered the CSM for 10 hours of sleep. On Nov. 15, the second telecast occurred en route to the moon, showing the interior of the Yankee Clipper. Only one midcourse maneuver was needed. It changed Apollo 12's trajectory to prepare for later insertion into a non-free-return lunar orbit - the first "hybrid" trajectory in Apollo flights. The spacecraft slowed so that it would arrive with the most desirable solar illumination on the selected Site 7. Prior to lunar orbit insertion, a third telecast was made to Earth on Nov. 17, showing the Earth, moon, spacecraft interior and intravehicular transfer of the crew. Later that day, when Apollo 12 went behind the moon at about 97 miles up, the first lunar orbit insertion burn began. The burn lasted for about six minutes, placing the spacecraft into an elliptical orbit of 69 by 195 miles. On Nov. 18, two orbits later and again on the far side of the moon, a second lunar orbit insertion burn altered Apollo 12 to an orbit of 62 by 76 miles. It was calculated to eventually circularize for the orbit of the solo CSM due to lunar-gravity potential. This would facilitate subsequent rendezvous and docking of Intrepid and the Yankee Clipper in their moon-parking orbit after the scheduled lunar landing. 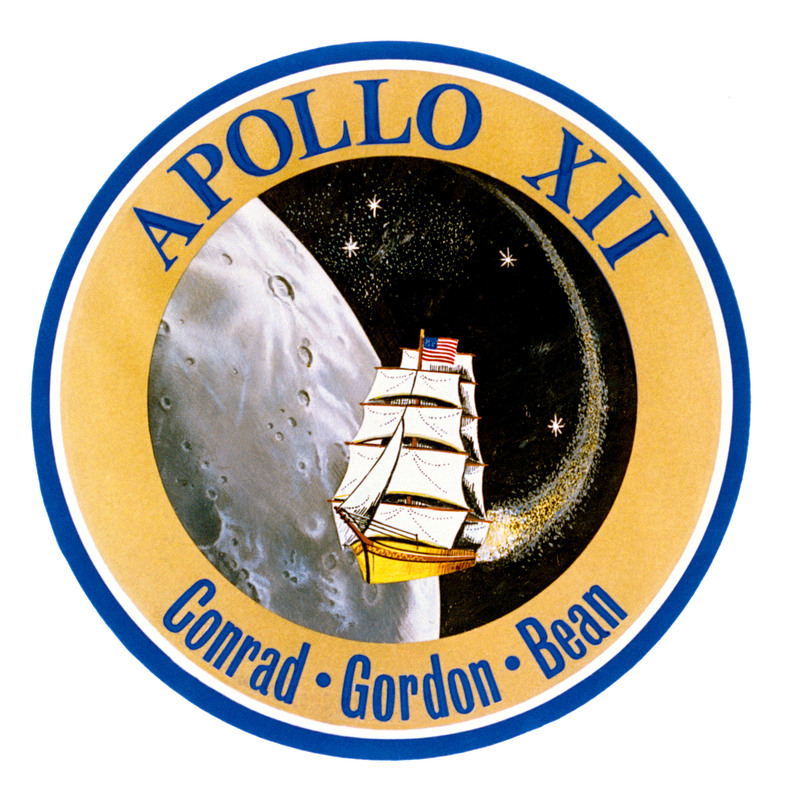 The same day, Conrad and Bean entered the LM and a telecast to Earth was made of the separation of the CSM and LM occurring 107 hours, 54 minutes into the flight. 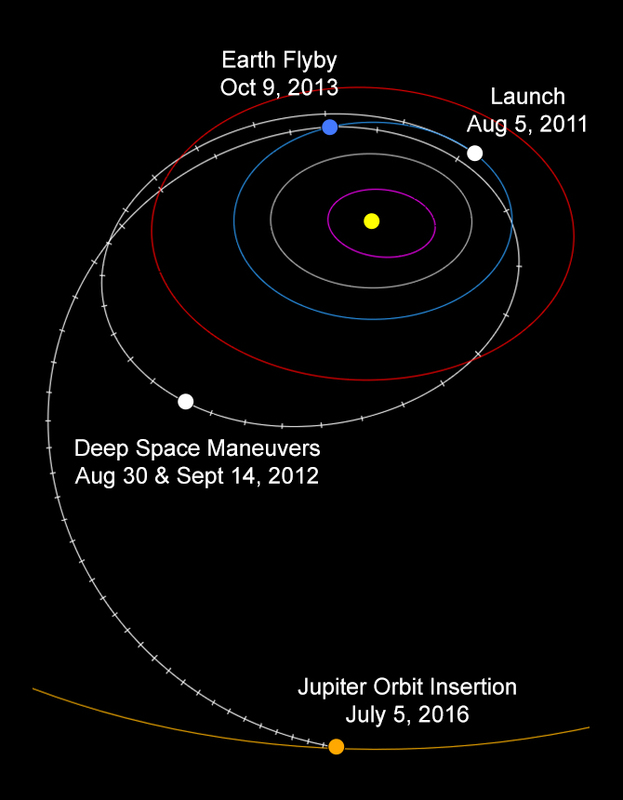 On Nov. 19, with the LM behind the moon in the 14th orbit, and some 109 hours, 23 minutes into the mission, the descent orbit insertion maneuver began. The LM decent engine, or LMDE, fired for 29 seconds, lowering Intrepid's orbit to about 9 by 69 miles. After the LM emerged from behind the moon and telemetry contact was re-established with Earth, a discrepancy was noted between orbit data readings from Intrepid and those displayed in Apollo Mission Control in Houston. The LM was initially believed to be in an incorrect descent orbit trajectory for landing in the desired region, due to normal mission anomalies. Using a newly developed "Lear" powered-flight data processor in Houston, the actual trajectory data, as well as correction maneuver information, were fed by voice to the LM crew. This enabled them to update the automatic downrange navigation computer program, shortening the range by 4,190 feet and permitting the precision touchdown at the intended site. This update to a satisfactory trajectory occurred about two minutes after the LM began its powered descent, which had been initiated at about 110 hours, 20 minutes into the mission and lasted a mere nominal 40 seconds longer than the preflight plan had scheduled. With Conrad controlling the descent semi-manually for the last 500 feet, a precision landing occurred at about 110 hours, 32 minutes into the mission, and closer to the target than expected. Intrepid landed in the Ocean of Storms at 3 degrees, 11 hours, 51 minutes south, and 23 degrees, 23 minutes, and 7.5 seconds west. Landing was about 120 feet northeast of Head Crater, and about 535 feet northwest from where Surveyor III stood in its crater. Apollo 12 touched down approximately 950 miles west of where Apollo 11 had landed. Three hours after the landing and before the first extravehicular activity or, EVA, began. Richard Gordon, orbiting 69 miles up in the Yankee Clipper, was able to see both the Intrepid and Surveyor through the use of a 28-power sextant telescope. Conrad opened Intrepid's hatch at 115 hours, 10 minutes into the mission to begin the first lunar EVA for the Apollo 12 crew. In their first lunar exploration, Conrad spent three hours, 39 minutes outside Intrepid, and Bean logged two hours, 58 minutes on the lurain. During this EVA, Conrad collected lunar surface samples and deployed both the S-band communication antenna and the solar wind experiment. Bean was assigned to mount the TV camera on a tripod. In the process of doing so, it was inadvertently pointed into the sun and ceased to function. The ALSEP instrumentation and SNAP-27 RTG were deployed within an arc of 600 to 700 feet of the LM. The ALSEP functioned satisfactorily, except for two items in the package, and was expected to yield data for up to two years. Deployment of the ALSEP took about an hour to complete. Throughout this first EVA, Conrad and Bean also took photographs of the experiment equipment, the spacecraft, the lurain and of themselves. Before entering the Intrepid, Bean took a 16-inch-deep core sample of the lunar surface and was followed back into the LM by Conrad. The first EVA ended at 119 hours, five minutes into the mission. The crew then ate, recharged their backpacks, prepared for the second EVA the following day, and slept for about five hours. On Nov. 20, an hour and a half earlier than planned, the crew began the second EVA. Conrad left the Intrepid some 131 hours, 28 minutes into the mission. The second EVA included the collection of 70 pounds of rock and dirt samples, the retrieval of 10 to 15 pounds of randomly selected selenological samples, and further probing of two areas to retrieve lunar material from depths up to 32 inches below the surface. The crew retrieved the TV camera and stored it in the LM for return to Earth. The most important part of this second EVA was a 5,200-foot traverse of the lurain, ranging up to 1,300 feet from Intrepid. Walking northwest to the site of the ALSEP deployment, Conrad and Bean then turned south to perform a selenological rock survey. They skirted the rim of Head Crater, walked further south past Bench Crater, west around Sharp Crater, and back east past Bench Crater again, south of Halo Crater. Eventually they turned northeast, entering the 650-foot-wide Surveyor Crater to retrieve parts of Surveyor III, which was perched some 150 feet from the edge at the southern quadrant. During the exploration, the astronauts discussed their findings by voice communication with geologists in Houston, who provided advice about which samples to retrieve. Surveyor was extensively photographed before parts were retrieved. The 17-pound TV camera was severed from its mount so that extensive studies could be performed on Earth of its gears, motors, optics, metals and lubricants. This would help determine the long-term effects of exposure to the elements. Similarly, the Surveyor's motorized scoop, and pieces of TV cable, aluminum tubing and glass were gathered. Scientists on Earth were particularly interested in the cable because biological organisms had been trapped within it, and they wanted to know if any had survived. Conrad and Bean then walked north, up a slope of about 14 degrees into Block Crater located on the rim of Surveyor Crater. They then turned west back to Intrepid, gathering surface samples as they went. They returned to the spacecraft at 134 hours, 49 minutes into the mission. Bean re-entered the LM at about 135 hours, 10 minutes, and Conrad followed at 135 hours, 22 minutes. The second EVA lasted three hours, 48 minutes. The crew removed their pressurized suits and jettisoned them on the moon before eating a meal. Approximately six hours later on the same day, after a total of 31.6 hours on the moon, the LM ascent stage fired for about seven minutes, putting Intrepid into an initial orbit of 10 by 54 miles for rendezvous and docking with the Yankee Clipper. About three and a half hours later, the rendezvous and docking maneuvers were televised to Earth by Gordon. Following transfer to the CSM, the ascent stage jettisoned and deorbited to impact the moon. This provided predictable impact data for the ALSEP seismometer. Although planned to impact about six miles from the ALSEP, it landed about 40 miles away. The combined length and severity of the seismic disturbance set up by the impact, estimated to equal that of one ton of TNT. To the surprise of seismologists, strong signals lasted for more than a half hour, and weaker signals ceased about an hour later. The effects were studied, as was the data received from other experiments left on the moon. A heavy schedule of photographing future landing sites on the lunar surface occurred from the CSM, preceded by a change of plane maneuver 3.8 degrees to the north, on the 39th lunar revolution. The maneuver was performed by a 19-second burn of the service propulsion system, or SPS. Earlier, while the Yankee Clipper was in its 27th and 28th revolutions, Gordon conducted the multi-spectral photographic survey of the lunar surface. During the 45th revolution and the 89th hour of the mission, the SPS ignited to put Apollo 12 into a trans-Earth trajectory. The trajectory occurred 172 hours, 27 minutes into the mission Nov. 21. The return flight was uneventful. A midcourse correction maneuver occurred Nov. 22, when Apollo 12 was about 208,000 miles from Earth. On Nov. 23, when the spacecraft was 108,000 miles from Earth, the crew held a televised news conference, followed by sleep. A second scheduled midcourse correction maneuver was not needed. On Nov. 24, following the same nominal re-entry procedure scheduled for Apollo 11, Apollo 12 ended its 10-day flight by splashing down in the Pacific Ocean at 15 degrees, 46.6 minutes south latitude, and 165 degrees, 9 minutes west. Splashdown occurred about three miles from the target area, and three miles south of and within sight of the recovery ship USS Hornet. The splashdown occurred about 400 miles southeast of American Samoa, after a flight of 244 hours, 36 minutes, 25 seconds - just 62 seconds longer than planned. 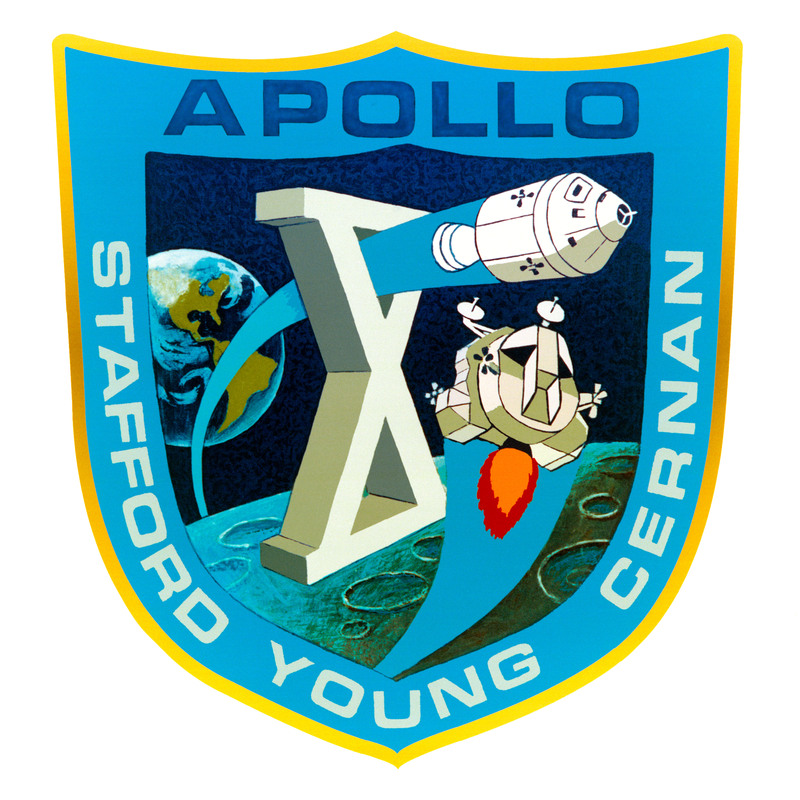 Emblem of the Apollo 10 lunar orbit mission. The prime crew of Apollo 10 is astronauts Thomas P. Stafford, commander; John W. Young, command module pilot; and Eugene A. Cernan, lunar module pilot. The Apollo 10 mission encompassed all aspects of an actual crewed lunar landing, except the landing. It was the first flight of a complete, crewed Apollo spacecraft to operate around the moon. Objectives included a scheduled eight-hour lunar orbit of the separated lunar module, or LM, and descent to about nine miles off the moon's surface before ascending for rendezvous and docking with the command and service module, or CSM, in about a 70-mile circular lunar orbit. Pertinent data to be gathered in this landing rehearsal dealt with the lunar potential, or gravitational effect, to refine the Earth-based crewed spaceflight network tracking techniques, and to check out LM programmed trajectories and radar, and lunar flight control systems. Twelve television transmissions to Earth were planned. All mission objectives were achieved. Apollo 10 launched from Cape Kennedy on May 18, 1969, into a nominal 115-mile circular Earth-parking orbit at an inclination of 32.5 degrees. One-and-a-half orbits later, translunar injection occurred. The S-IVB fired to increase velocity from 25,593 to 36,651 feet per second on a free-return trajectory. Twenty-five minutes later, the CSM separated for transposition and docking with the LM, similar to the maneuver performed on Apollo 9. The orbital vehicle was comprised of the S-IVB stage, and its payload of the CSM, the LM and spacecraft-lunar module adapter, or SLA, shroud. The Apollo 10 crew members were Commander Thomas Stafford, Command Module Pilot John Young and Lunar Module Pilot Eugene Cernan. The first live color TV transmissions to Earth began three hours after launch when Apollo 10 was 3,570 miles from Earth and concluded when the spacecraft was 9,428 miles away. The transmission showed the docking process and the interior of the CSM. About four hours after launch, Apollo 10 separated from the S-IVB sage, which was followed by another telecast from 14,625 miles out. A third TV transmission of pictures of Earth was made from 24,183 miles out, and a fourth telecast of the Earth was made from 140,000 miles. The launch trajectory had been so satisfactory that only one of four midcourse corrections was needed. This was accomplished 26.5 hours into the flight. About 76 hours into the mission, lunar-orbit insertion occurred with the firing of the service propulsion system, or SPS. A second firing of the engine 4.5 hours later circularized the lunar orbit of Apollo 10 at approximately 69 miles, which was followed by the first color TV pictures to Earth of the moon's surface. Stafford and Cernan entered the LM and prepared for the undocking maneuver that occurred on the 12th revolution, a little more than 98 hours into the flight. At about 100 hours, on May 22, the vehicles separated and briefly flew a station-keeping lunar orbit of 66.7 by 71.5 miles. To achieve a simulation of the future Apollo 11 landing, the LM descent engine fired for 27.4 seconds, with 10 percent thrust for the first 15 seconds and 40 percent thrust for the rest. This brought the LM to a new orbit of 9.7 by 70.5 miles. The LM flew over Landing Site 2 in the Sea of Tranquility. During this run, the LM landing radar was tested for altitude functioning, providing both "high gate" and "low gate" data. Following a 7.5-second firing of the LM reaction control system, or RCS, thrusters, the descent engine fired in two bursts for 40.1 seconds - at 10 percent and at full throttle - placing the LM into an orbit of 13.7 by 219 miles. On the 14th revolution, it reached a pericynthion of 12.7 miles and was "staged." The descent stage jettisoned on a second attempt and an uncontrollable gyration of the ascent stage occurred. It was later attributed to an error in a flight-plan checklist, causing an incorrect switch position. The ascent engine fired for 15 seconds, lowering the LM apocythion to 53.8 miles, 230 miles behind and below the CSM. The RCS thrusters fired for 27.3 seconds when the LM was 16.9 miles below the CSM and 170.4 miles behind, yielding an orbit of 54.5 by 48.1 miles. To prepare for the terminal phase of rendezvous, the RCS fired again, resulting in an orbit of 17.2 by 81.7 miles. Stafford sighted the CSM's running lights at about 48 miles. The 15-second terminal phase initiation firing reduced velocity as the LM entered an intercept trajectory and the two vehicles achieved station-keeping of the 16th lunar revolution. With Young in the CSM taking on an active rendezvous role, the vehicles were re-docked on May 23, slightly more than 106 hours into the mission. The LM ascent stage jettisoned and its engine fired to depletion. The rest of the time in lunar orbit was spent on landmark tracking and photography. On the 31st orbit, the SPS restarted. Apollo 10 was on the back side of the moon when it was injected into a trans-Earth trajectory. After a midcourse correction, and command and service module separation, Apollo 10 re-entered Earth's atmosphere May 26. The module splashed down 165 degrees west, and 5 degrees, 8 minutes south in the Pacific Ocean. It's landing was within television range of its primary recovery ship, the USS Princeton. Apollo 10 completed a flight of 192 hours, three minutes, 23 seconds - one minute, 24 seconds longer than planned. The Apollo 10 S-IVB third stage and LM ascent stage went into solar orbits. The LM descent stage went into a selenocentric orbit. Apollo 9 launched from Cape Kennedy on March 3, 1969, into a nominal 117 by 119-mile Earth orbit with Commander James McDivitt, Command Module Pilot David Scott and Lunar Module Pilot Russell Schweickart aboard. On the first day, and after orbit injection of the combined S-IVB stage and its SLA-LM-CSM payload, venting of the S-IVB propellant tanks changed the orbit to 123 by 127 miles. The CSM separated and the SLA panel walls jettisoned, transposing the CSM to 180 degrees toward the LM atop the S-IVB. The CSM docked with the LM in the second orbit. The linked modules ejected from the S-IVB, and the thrust placed the CSM-LM a safe distance away for a 62-second restart of the S-IVB, which raised the apogee to 1,895 miles. To achieve a hyperbolic orbit for the planned escape trajectory, the S-IVB restarted a second time for four minutes, two seconds. It resulted in a less than desired maximum velocity increase and was off nominal by about 11 percent. While this did not affect the Apollo 9 flight, a lunar mission might have been aborted. Before the third S-IVB burn, the CSM SPS fired for five seconds, placing the CSM in an orbit of 125 by 145 miles. The firing improved orbital lifetime, checked the capability of the guidance and navigation system to control the burn, and performed a hard check of the LM's ability to withstand thrust acceleration and vibration. The second SPS firing for one minute, five seconds occurred on March 4. It changed Apollo 9's orbit to 123 by 213 miles and tested the structural dynamics of the docked CSM-LM under loads about those of a lunar mission. A third SPS firing the same day for four minutes, 42 seconds, changed the orbit to 126 by 313 miles. The fourth burn, which lasted for 28.2 seconds, was an out-of-plane change. On Flight Day 3, McDivitt and Schweickart put on spacesuits and transferred to the LM through the tunnel connection to perform a systems checkout. This included a 367-second firing of the LM descent engine to simulate the throttle pattern to be used during a lunar landing mission. McDivitt controlled the final 59 seconds, varying the thrust from 10 to 40 percent and shutting it off manually. This was the first crewed throttling of an engine in space and increased the spacecraft's orbit to 130 by 300 miles. 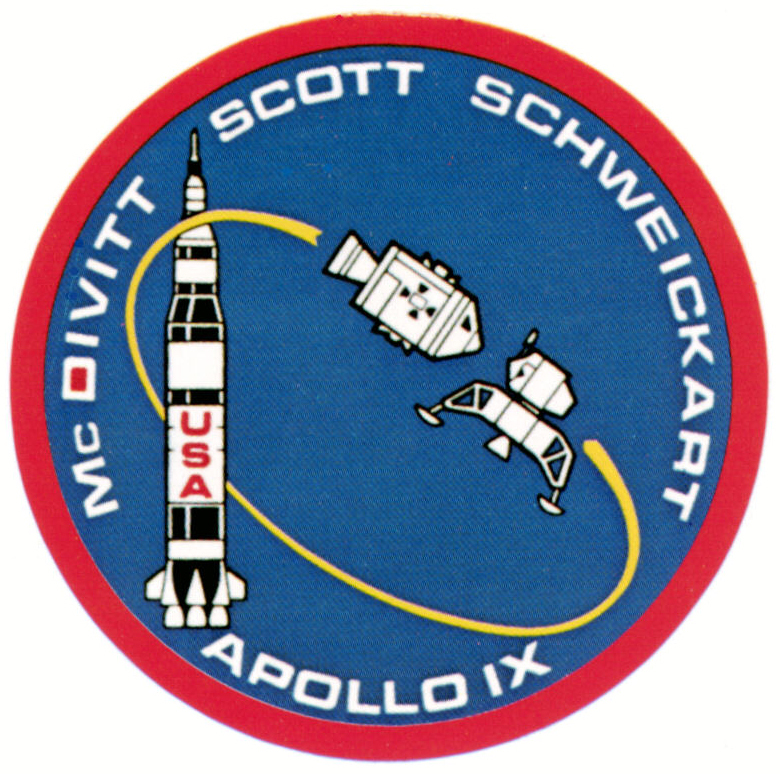 After nine hours, McDivitt and Schweickart transferred back to the CSM with Scott. Then, the SPS fired for the fifth time as the final shaping maneuver prior to the rendezvous exercises to be performed two days later. The firing placed Apollo 9 into an orbit of 142 by 149 miles. On Flight Day 4, McDivitt and Schweickart re-entered the LM. Because of nausea, Schweickart's scheduled two-hour EVA to simulate external transfer rescue techniques was canceled. Instead, he climbed out of the LM porch for a 37.5 minute EVA, testing the EVA mobility unit, including the portable life support system backpack. 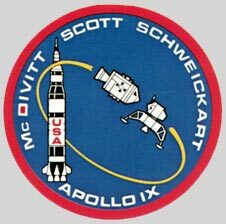 On Flight Day 5, with McDivitt and Schweickart again aboard the LM, it separated from Scott's CSM. The LM descent engine fired once for 24.9 seconds to place the spacecraft into a 137 by 167 mile orbit. If fired again for 24.4 seconds to circularize the orbit about 154 by 160 miles, some 12 miles higher than the CMS. Four hours later, horizontally 113 miles away from the CSM, the LM descent stage jettisoned for a first-time firing in space of the ascent stage engine. It lowered the LM orbit by 11 miles and placed it 75 miles behind and 10 miles below the CSM, leaving it able to commence a rendezvous. Six hours later, the CSM and LM redocked. The LM ascent stage jettisoned and was commanded to fire its engine to fuel depletion. Although postponed by one revolution on Flight Day 6, a sixth firing of the CSM SPS lowered the orbit to 121 by 138 miles. On the seventh day, the crew performed Earth landmark tracking over the U.S. and the South Atlantic. On the eighth day, a seventh burn of the SPS altered the orbit of Apollo 9 to 113 by 288 miles. No major mission activities were scheduled for the ninth day. 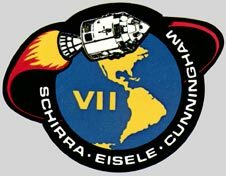 Two telecasts were made to Earth from Apollo 9. The first, on March 5, lasted for almost seven minutes. The second telecast on the following day lasted about 13 minutes, and only showed interior views of the LM. Photographs taken as part of the multi-spectral terrain photographic experiment were successful. On March 13, the tenth day, re-entry was extended by one revolution because of heavy seas in the primary recovery area. Six hundred miles into its 152nd revolution, Apollo 9 splashed down at 23.25 degrees north, 68 degrees west. The crew was within three miles and in full view of their recovery ship, about 341 miles north of Puerto Rico. The flight totaled 241 hours, 53 seconds - 10 seconds longer than planned. The S-IVB stage reached heliocentric orbit and the LM ascent stage reached Earth orbit. The LM descent stage decayed March 22. "'Round the moon and back..."
All primary mission objectives and detailed test objectives were achieved. All launch vehicle and spacecraft systems performed according to plan. Engineering accomplishments included use of the ground network with onboard navigational techniques to sharpen the accuracy of lunar orbit determination and the successful use of Apollo high-gain antenna - a four-dish unified S-band antenna that deployed from the service module, or SM, after separation from the third stage. Loss of signal occurred at 68 hours, 58 minutes, 45 seconds when Apollo 8 passed behind the moon. At that moment, NASA's three astronauts became the first humans to see the moon's far side. The first lunar orbit insertion burn, at 69 hours, 8 minutes, 52 seconds, lasted four minutes, two seconds and reduced the spacecraft's 8,400 feet per second velocity by 2,994 feet per second, resulting in an initial lunar orbit of 70 by 193 miles. 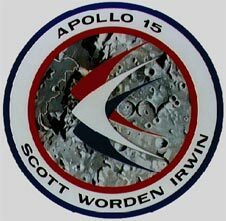 The orbit circularized at 70 miles by the second lunar orbit insertion burn of 135 feet per second, performed at the start of the third revolution, again on the back side of the moon, at 73 hours, 35 minutes, five seconds. Six telecasts were conducted during the mission: two during translunar coast, two during lunar orbit and two during trans-Earth coast. These transmissions were telecast worldwide and in real time to all five continents. During a telecast on Christmas Eve, the crew read verses from the first chapter of Genesis and wished viewers, "Good night, good luck, a Merry Christmas and God bless all of you - all of you on the good Earth." All telecasts were of excellent quality. Voice communications also were exceptionally good throughout the mission. "The Walt, Wally and Donn Show..."
Additional flight objectives included scientific exploration by the lunar module, or LM, crew; deployment of a television camera to transmit signals to Earth; and deployment of a solar wind composition experiment, seismic experiment package and a Laser Ranging Retroreflector. During the exploration, the two astronauts were to gather samples of lunar-surface materials for return to Earth. They also were to extensively photograph the lunar terrain, the deployed scientific equipment, the LM spacecraft, and each other, both with still and motion picture cameras. This was to be the last Apollo mission to fly a "free-return" trajectory, which would enable a return to Earth with no engine firing, providing a ready abort of the mission at any time prior to lunar orbit insertion. Apollo 11 launched from Cape Kennedy on July 16, 1969, carrying Commander Neil Armstrong, Command Module Pilot Michael Collins and Lunar Module Pilot Edwin "Buzz" Aldrin into an initial Earth-orbit of 114 by 116 miles. An estimated 530 million people watched Armstrong's televised image and heard his voice describe the event as he took "...one small step for man, one giant leap for mankind" on July 20, 1969. Two hours, 44 minutes and one-and-a-half revolutions after launch, the S-IVB stage reignited for a second burn of five minutes, 48 seconds, placing Apollo 11 into a translunar orbit. The command and service module, or CSM, Columbia separated from the stage, which included the spacecraft-lunar module adapter, or SLA, containing the lunar module, or LM, Eagle. After transposition and jettisoning of the SLA panels on the S-IVB stage, the CSM docked with the LM. The S-IVB stage separated and injected into heliocentric orbit four hours, 40 minutes into the flight. 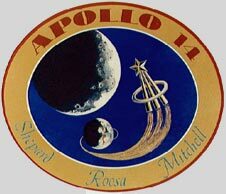 The first color TV transmission to Earth from Apollo 11 occurred during the translunar coast of the CSM/LM. Later, on July 17, a three-second burn of the SPS was made to perform the second of four scheduled midcourse corrections programmed for the flight. The launch had been so successful that the other three were not needed. On July 18, Armstrong and Aldrin put on their spacesuits and climbed through the docking tunnel from Columbia to Eagle to check out the LM, and to make the second TV transmission. On July 19, after Apollo 11 had flown behind the moon out of contact with Earth, came the first lunar orbit insertion maneuver. At about 75 hours, 50 minutes into the flight, a retrograde firing of the SPS for 357.5 seconds placed the spacecraft into an initial, elliptical-lunar orbit of 69 by 190 miles. 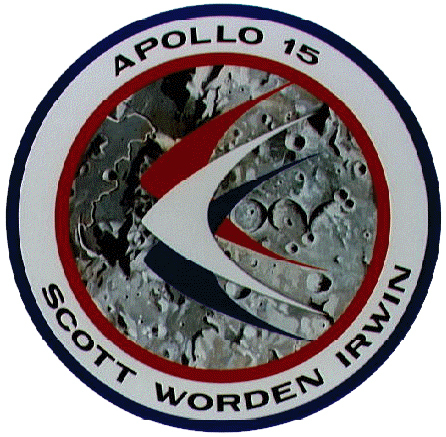 Later, a second burn of the SPS for 17 seconds placed the docked vehicles into a lunar orbit of 62 by 70.5 miles, which was calculated to change the orbit of the CSM piloted by Collins. The change happened because of lunar-gravity perturbations to the nominal 69 miles required for subsequent LM rendezvous and docking after completion of the lunar landing. Before this second SPS firing, another TV transmission was made, this time from the surface of the moon. On July 20, Armstrong and Aldrin entered the LM again, made a final check, and at 100 hours, 12 minutes into the flight, the Eagle undocked and separated from Columbia for visual inspection. At 101 hours, 36 minutes, when the LM was behind the moon on its 13th orbit, the LM descent engine fired for 30 seconds to provide retrograde thrust and commence descent orbit insertion, changing to an orbit of 9 by 67 miles, on a trajectory that was virtually identical to that flown by Apollo 10. At 102 hours, 33 minutes, after Columbia and Eagle had reappeared from behind the moon and when the LM was about 300 miles uprange, powered descent initiation was performed with the descent engine firing for 756.3 seconds. After eight minutes, the LM was at "high gate" about 26,000 feet above the surface and about five miles from the landing site. The descent engine continued to provide braking thrust until about 102 hours, 45 minutes into the mission. Partially piloted manually by Armstrong, the Eagle landed in the Sea of Tranquility in Site 2 at 0 degrees, 41 minutes, 15 seconds north latitude and 23 degrees, 26 minutes east longitude. This was about four miles downrange from the predicted touchdown point and occurred almost one-and-a-half minutes earlier than scheduled. It included a powered descent that ran a mere nominal 40 seconds longer than preflight planning due to translation maneuvers to avoid a crater during the final phase of landing. Attached to the descent stage was a commemorative plaque signed by President Richard M. Nixon and the three astronauts. The flight plan called for the first EVA to begin after a four-hour rest period, but it was advanced to begin as soon as possible. Nonetheless, it was almost four hours later that Armstrong emerged from the Eagle and deployed the TV camera for the transmission of the event to Earth. At about 109 hours, 42 minutes after launch, Armstrong stepped onto the moon. About 20 minutes later, Aldrin followed him. The camera was then positioned on a tripod about 30 feet from the LM. Half an hour later, President Nixon spoke by telephone link with the astronauts. Commemorative medallions bearing the names of the three Apollo 1 astronauts who lost their lives in a launch pad fire, and two cosmonauts who also died in accidents, were left on the moon's surface. A one-and-a-half inch silicon disk, containing micro miniaturized goodwill messages from 73 countries, and the names of congressional and NASA leaders, also stayed behind. During the EVA, in which they both ranged up to 300 feet from the Eagle, Aldrin deployed the Early Apollo Scientific Experiments Package, or EASEP, experiments, and Armstrong and Aldrin gathered and verbally reported on the lunar surface samples. After Aldrin had spent one hour, 33 minutes on the surface, he re-entered the LM, followed 41 minutes later by Armstrong. The entire EVA phase lasted more than two-and-a-half hours, ending at 111 hours, 39 minutes into the mission. Armstrong and Aldrin spent 21 hours, 36 minutes on the moon's surface. After a rest period that included seven hours of sleep, the ascent stage engine fired at 124 hours, 22 minutes. It was shut down 435 seconds later when the Eagle reached an initial orbit of 11 by 55 miles above the moon, and when Columbia was on its 25th revolution. As the ascent stage reached apolune at 125 hours, 19 minutes, the reaction control system, or RCS, fired so as to nearly circularize the Eagle orbit at about 56 miles, some 13 miles below and slightly behind Columbia. Subsequent firings of the LM RCS changed the orbit to 57 by 72 miles. Docking with Columbia occurred on the CSM's 27th revolution at 128 hours, three minutes into the mission. Armstrong and Aldrin returned to the CSM with Collins. Four hours later, the LM jettisoned and remained in lunar orbit. Trans-Earth injection of the CSM began July 21 as the SPS fired for two-and-a-half minutes when Columbia was behind the moon in its 59th hour of lunar orbit. Following this, the astronauts slept for about 10 hours. An 11.2 second firing of the SPS accomplished the only midcourse correction required on the return flight. The correction was made July 22 at about 150 hours, 30 minutes into the mission. Two more television transmissions were made during the trans-Earth coast. Re-entry procedures were initiated July 24, 44 hours after leaving lunar orbit. The SM separated from the CM, which was re-oriented to a heat-shield-forward position. Parachute deployment occurred at 195 hours, 13 minutes. After a flight of 195 hours, 18 minutes, 35 seconds - about 36 minutes longer than planned - Apollo 11 splashed down in the Pacific Ocean, 13 miles from the recovery ship USS Hornet. Because of bad weather in the target area, the landing point was changed by about 250 miles. Apollo 11 landed 13 degrees, 19 minutes north latitude and 169 degrees, nine minutes west longitude July 24, 1969.